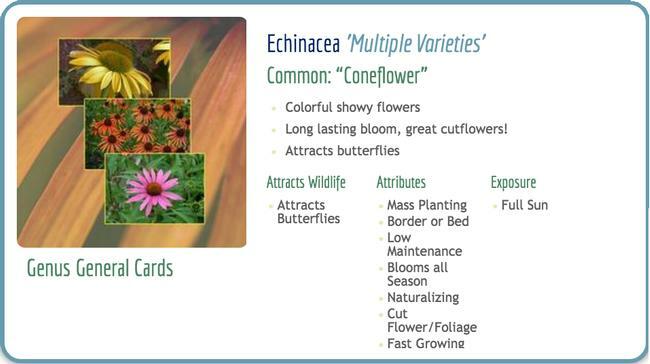 In this example, we used the text search for 'echinacea'. Of course, there are many, many more matching records than are displayed here. 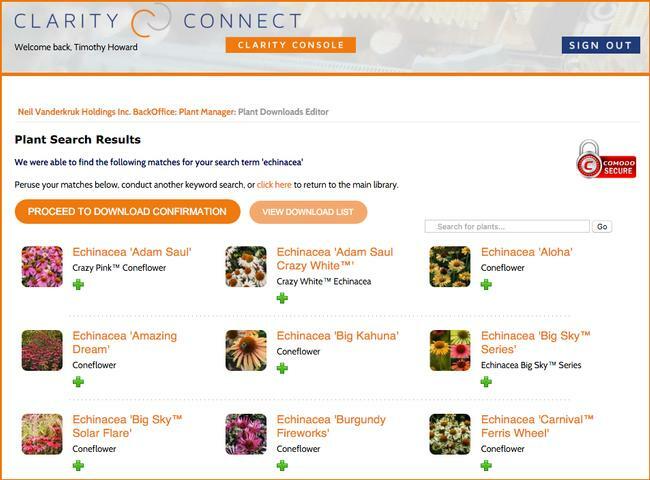 You can see the relevant plant information before importing the information into your plant library. In addition to variety specific plant records, we have many genus overview records. The cost of the download will be billed to your credit card. Quickly add plant information (description, height, spread, characteristics, image, etc.) to your online plant library. Select a plant type like perennial, annual, house plant, etc. Narrow plants to those from a particular breeder or program like Proven Winners. Text search (searches genus, species, cultivar and common name). Alpah Index. You can select a letter in the alphaget and then see all plants that start with that letter. In addition to variety specific plant records we have both genus overviews (hosta, lantana, echinacea, etc.) as well as records for many series (like 'Aloha Calibrachoa). 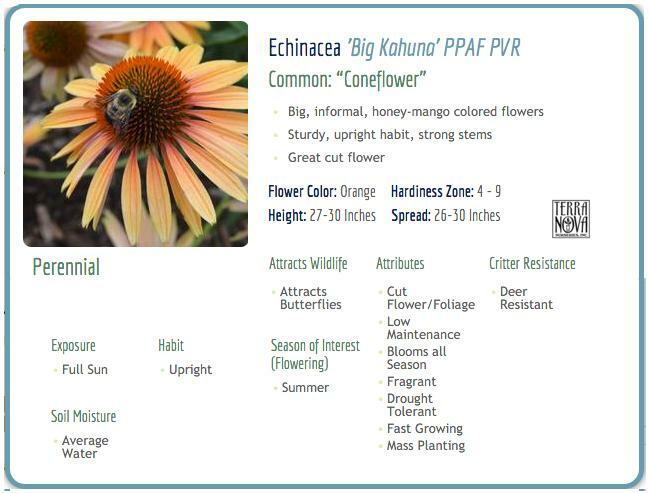 The fourth image show an example of an echinacea genus overview card. After selecting the records you want, you can quickly download them into your libary. The cost is $3 per plant record. See the last image as an example of the process. Once you have imported the record into your Plant Editor, you can add additional information and make any necessary changes to the data you have imported. And, you can add additional images if you like.